The peer pressure was very much in their interests rather than mine. My friends firmly believed that I was missing out on not connecting with them online and that the quality of my life would increase if I got a Facebook. In retrospect, I realize that there were things that I missed out on, such as social gatherings, conversations, jokes, parties, etc. That’s the curse of social media: if you don’t join and learn the lingo right away, you could be left in the dust. With that said, my usage of social media is still relatively anti-social; I do not actively post things on Facebook, Twitter, Tumblr, etc. about my thoughts and feelings, but rather to share real-life experiences. I also don’t explore communities on other platforms, and I prefer to passively consume material rather than contribute. I’d have to say that I’m pretty content with the way I use the Internet now, but I am much more open to that changing than I used to be. This entry was posted in Uncategorized on January 19, 2015 by Mia Farinelli. Think/write about your own motivations for using social media and joining online communities. How are your motivations and goals similar to the early Wellites and virtual community members? How and why are they different? My first real entry into social media was when I made my first permanent account on Facebook my sophomore year of high school (the first time was a fluke to satisfy peer pressure and to play a prank on my friends; it was deleted a week later). Until college, who I friended on Facebook was extremely selective, to the point where eligibility required an inability to see me in person at least once a week. This meant that any friends I went to school with, sung in choir with, or played sports with, didn’t receive a friend request from me until they fit the bill, whether that meant graduation (mine or theirs), dropping an activity (me or them), or moving away. If I could see you and talk to you in person, what would be the need for communicating with you through Facebook? It makes more sense to use Facebook as a means of keeping in touch with friends out of state or out of sight. As an introvert, I needed to recharge my social batteries upon coming home; having my school friends “virtually” in my home would only serve as extra stress. If you really were close to me and cared about me, you would find other ways (and there are numerous) to talk to me, via text, phone calls, email, Skype, and so on. While I still maintain a certain degree of privacy online, I have broadened my visions a little bit more over time. Through gentle peer pressure, the Omegle/ChatRoulette fad, and the communities that I passively participate in now, such as Tumblr, Ravelry, and Pinterest, I am beginning to see the benefits of finding new friendships and places to belong online. The amount of collective information that members of a site can compile is staggering, and even more staggering is the amount of emotional support that you can find in various ways. I think those were the goals of the WELLites: to cross geographical distance and unite individual experiences in beneficial ways to all of us. This entry was posted in Uncategorized on January 17, 2015 by Mia Farinelli. 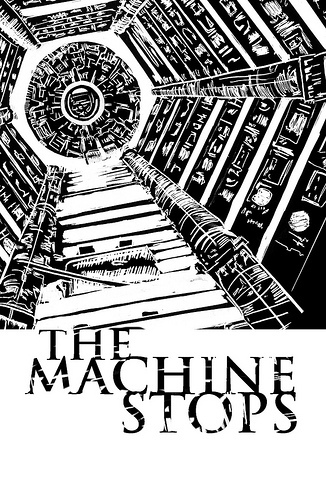 Today I discovered a serendipitous discrepancy between the required texts listed on socialmediaissues.net and socialmediaclassroom.com, and I ended up reading E.M. Forster’s sci-fi futuristic novella, The Machine Stops. Considering how my luck usually runs, this fiction piece was probably removed from the required readings, and I theoretically ended up reading it for nothing. But hear me out. strongly recommend that you read it; it’s actually a pretty quick read for something so thoughtful. If you’re a TL;DR kind of person, think 1984 except Big Brother is a Machine that humans of the future live in. If not, good for you! Take a look and then read on. The first thing that blew my mind is that this short story was written in 1909. Nineteen-oh-nine. That’s over a hundred years ago (although 2009 feels like it was just yesterday)! The amount of imagination and insight required to look into the human condition and write something that is still profoundly relevant today is phenomenal at minimum. And the sheer amount of imagery involved in crafting this futuristic world in which all of our needs are taken care of instantaneously is no small feat. But I digress. Let me say why I think this is the “dark side” of our first class topic, Roots and Visions. Originally this was a reading intended for Imagining Communities, and it makes sense; it is just as insightful to understand what people think is not a community as it is to understand what people think is one. It’s also important to consider the potential that technology has for splitting us apart. Heck, we’re already struggling with that issue, and the Internet is still so young. But considering the time period in which this story was written, where radio broadcast and planes were just born and the polio virus was just discovered, one can also suggest that The Machine Stops is a very early prediction of what technology was going to look like, what it was going to be capable of, and how we were going to interact with it. And while Licklider and Engelbart had great and virtuous visions for technology to serve as a communicative network, Forster had an altogether…bleaker…vision for the future of technology. He essentially predicted that we would continue to innovate until technology could serve our every need and desire at will, until we began to serve the technology that we created with our own hands. Of course, there are conjectures that seem a bit rash and unreasonable. I cannot see a future in which we would no longer be amazed by the feats of nature to the point of avoiding sunlight, where it is common courtesy never to share physical contact with others, and where infants over a specific strength quota are “eliminated” because they would not be able to deal with the lack of physical activity needed that we’ve become accustomed to. And sure, it’s possible that I have some naive hope that humanity will be able to keep its head straight and question its innovative choices. But the general gist of the story is what has translated through time, and sadly, it may be coming true. We are becoming increasingly chained to our technology, unable to tear our eyes away from screens or rely on our own knowledge and cognitive skills. As Fang mentioned in our last class, many people no longer have the skills necessary to navigate themselves to geographical destinations. And if that’s not a little bit scary, I’m not sure what is. However, we have the ability to prevent a future that looks like the one in The Machine Stops. It requires a long, hard look at what gives us our humanity, and aiming not to let technology take that away from us. What responsibilities, as a society, do you think we are obligated to uphold as we continue inventing, developing, and building higher-level technologies? This entry was posted in Uncategorized on January 16, 2015 by Mia Farinelli. Emerging from the frenzy of finishing an assignment is often like escaping a hurricane. In the aftermath you often remember things that you’ve left behind or things you didn’t take into account; I think that this is a pretty good metaphor for what has resulted of my concept map. Regardless, I invite you to take a look at it at the link below and to impart any commentary you may have. This entry was posted in Uncategorized on January 13, 2015 by Mia Farinelli. Day one has passed, and I know I’ve only stuck my pinkie toe in the water, but the excitement I had to meet the class and ask some of the big questions we’ll tackle in this course was well rewarded. Everyone brought up really great points, opinions, and experiences, and I have to say that I have never been part of such a diverse group of fellow peers. It’s also exciting to find a fellow knitter who can concentrate better with a pair of needles in her hand (shoutout to you, Carol). 1. Thoughtful, provocative, informed, and fun co-teaching sessions, both from myself and from my peers. 2. Deep engagement with all of our various communicative outlets (Wiki, blog, forum, etc.) in order to continue learning outside of the classroom and provide food for thought. 3. Openness, respect, and collaboration during class discussions, both in and out of the classroom. I hope that I can contribute to my own expectations just as much, if not more, than my peers can, and I invite anyone who sees me falling short of the guidelines that I have set for myself to let me know, as I would for you. 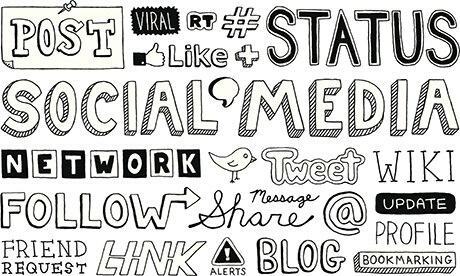 Finally, a thought on the role of social media: Although we can clearly define platforms and examples of social media in our day to day lives, social media’s full impact on society is not easy to understand and the roles that social media plays are numerous. Just from my personal experience, social media has provided entertainment, casual and formal socialization, an avenue for social change, innovation, news sources, opportunities to self-reflect…the list goes on and on. Just as much as we can click, type, and scroll through social media, it is also an nebulous, intangible resource that serves a seemingly infinite number of functions for its widespread audience. 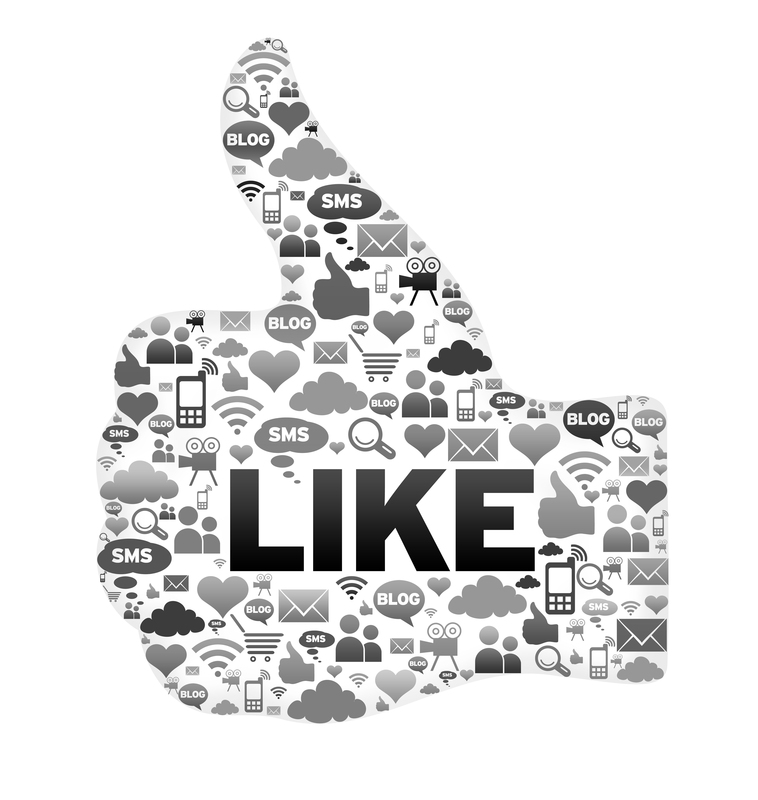 As a very broad definition, social media is the manifestation of a new method of communication that allows people to connect and share ideas. What those ideas are, how they may or may not be brought into the real world, and what implications they have on the world at large are up to the communicators, and the possibilities are endless. What I can think of as the most general role that social media plays is that it serves as a conduit for human interaction: it is active in defining the virtual world that users participate in, but passive in that the users drive its growth and development. This entry was posted in Uncategorized on January 11, 2015 by Mia Farinelli. 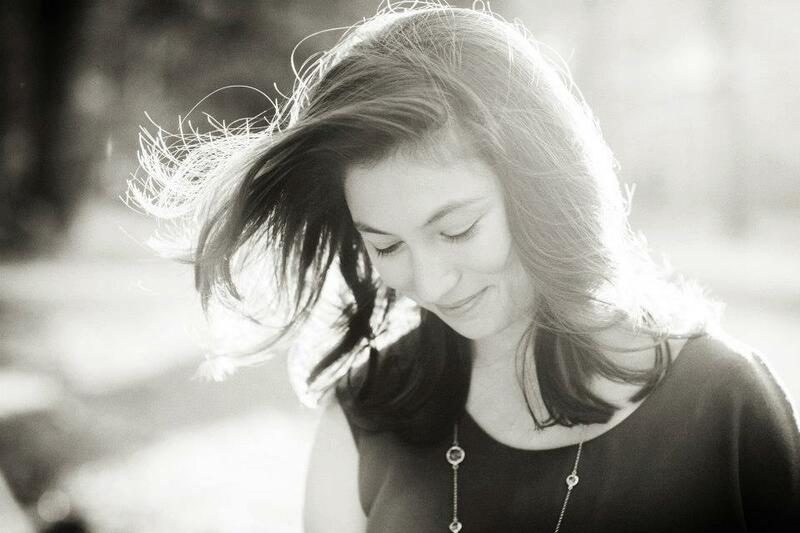 My name is Mia Farinelli, and I’m a sophomore at Stanford and a New Yorker at heart. My dreams and interests have yet to be fully translated into my studies, but I’m enjoying the journey rather than the destination. Social media and virtual communities have captured my interest because of their unique intersection between human interaction and technology, an intersection that society has no clear cut compass for but yearns to be explored. As our relationship with technology grows, finding viable, efficient, and compelling ways to communicate with other individuals, groups, and communities through technology will continue to take precedence in our social development. In my spare time, I pursue many interests, hobbies, and passions, namely classical singing, creative writing, photography, knitting, and sleeping. I look forward to meeting and working with the members of COMM 182 Winter 2015, and I wish us all the best of luck. This entry was posted in Uncategorized on January 3, 2015 by Mia Farinelli.